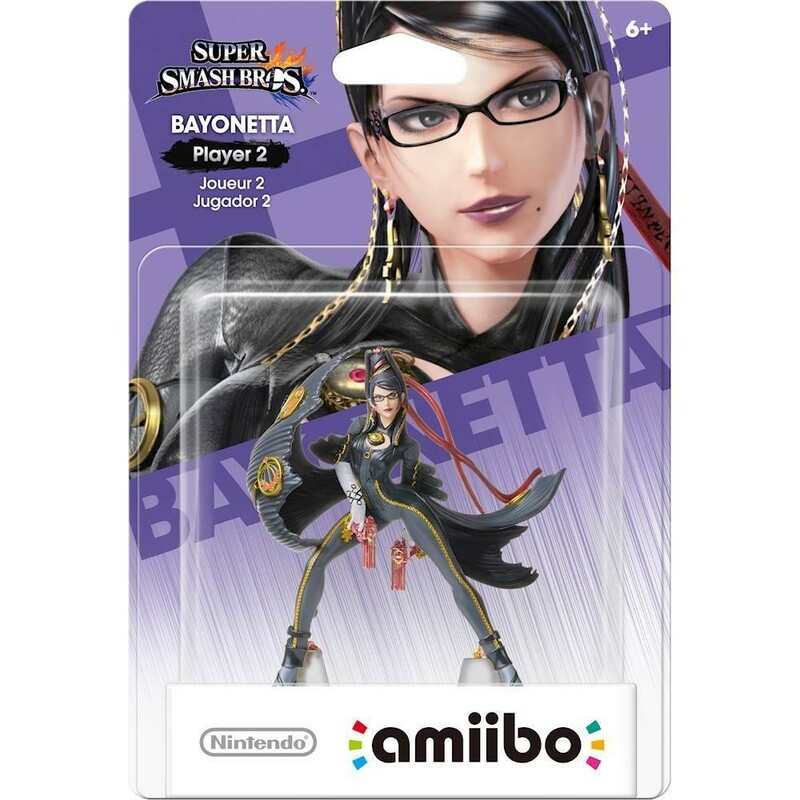 NINTENDO :: SUPER SMASH BROS AMIIBO BAYONETTA - PLAYER 2 FIGURE ::  EXCLUSIVE ITEM  :: BRAND NEW AUTHENTIC :: - BID WITH CONFIDENCE: OVER 3000 FEEDBACK - brand new Authentic Nintendo Super Smash Bros Bayonetta - Player 2 Amiibo Figure! Perform magical attacks with this Bayonetta Player 2 amiibo figure. This second variation is styled after her original image from the first Bayonetta video game for a retro playing experience on Super Smash Bros. 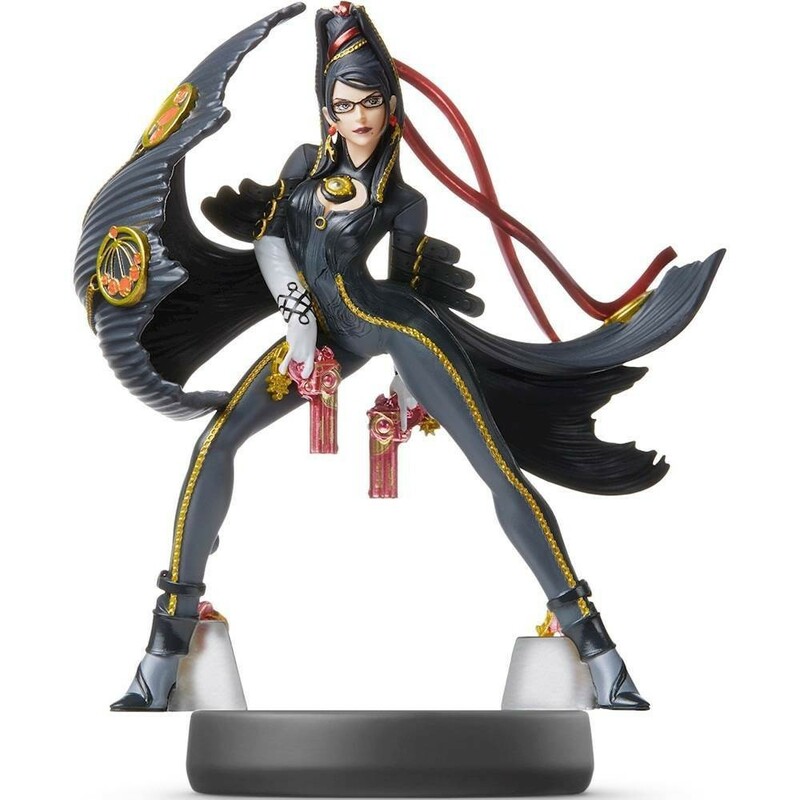 Tap this Bayonetta Player 2 amiibo figure on your Nintendo 3DS or Wii U to use her unique abilities. Embark on new adventures with your favorite Nintendo characters with this amiibo figure Get cool in-game extras with amiibo accessories and compatible games Easily customize gameplay features Bayonetta is one of the last of the near-extinct Umbra Witches clan She is a master of the Bullet Arts, can use her hair as a conduit to bring forth Infernal Demons, and ends up embroiled in a battle to save the world WARNING: CHOKING HAZARD-Small parts. Not for children under 3 years. FEATURES: Pack Type: Single figure Compatible Platform(s): Nintendo 3DSNintendo 3DS XLNintendo SwitchNintendo Wii U Licensed Property: Nintendo Color Category: Multi Winning bids will receive: (1) Nintendo Super Smash Bros Amiibo Bayonetta - Player 2 Figure Note: Ship time is within 1-3 business days AFTER RELEASE DATE (Any questions message me first) = USA bidders and buyers will have free shipping/handling fee on top of your winning bid. Your item will be shipped using [USPS Mail] with a trackable Number. 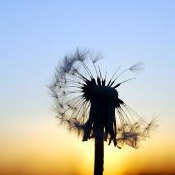 Note: Handling time frame will be within 1-3 business days AFTER RELEASE DATE of the current ended auction time. Please understand my terms and the time I need to ship this out to you. = International buyers will pay a shipping/handling fee based on the Global International Shipping (If available). . Sorry I won't be responsible for any additional shipping charges to your country, import tax/fee, custom fees or customs delay. All items will be shipped from your verified paypal address, so please make sure your name and shipping address are valid and up to date. Any shipped items that are returned to me, you will be responsible for paying any addition shipping rates . California residents are subject to 8.00% sales tax as with any purchases shipped within California. = Returns are accepted up to 14 days once you contact me for a return # in its new condition with tags attached, unopened, undamaged. Buyer pays shipping back to me. All returns are subject to a 20% restock fee and will be inspected before money is refunded.